Alright, so now you might be more inclined to market your business via social media, but you may still be skeptical. Does it really work? Sure, it is free advertising, but are people actually reading what you post on social media, and is this translating into them buying your product and thereby increasing your sales? To drive home the idea that social media really is a great marketing tool for your business, let’s look at the company The Red Dress Boutique. The Red Dress Boutique is an American-based and family owned online retailer which sells fashion clothing at an affordable price. So now you are thinking, what does this retailer sell online that is any different from any other clothing retailer, Amazon or e-bay? Well, the short answer is, nothing. I’m sure you could find these clothes or similar clothes offered by The Red Dress Boutique from another retailer. The difference then is not in what they sell, but how they sell it. The Red Dress Boutique opened a traditional brick-and-mortar store in 2005 in downtown Athens, Georgia. The owner, Diana Harbour, did not find immense success in selling clothing from these venues, and she was forced to close the doors of the shop. However, it led her to a new opportunity….The WEB! While most of us have become very accustomed to the way Facebook works now, we have to remember that originally Facebook was not set-up this way. Facebook originally required users to enter a valid college email address, and the concept of business pages did not yet exist in 2005 when Harbour was creating her brand. So, when The Red Dress Boutique took to Facebook as a marketing strategy, the company faced not only criticism, but Facebook also shut it down, three times. Harbour’s idea of marketing via social media was innovative, and not yet widely accepted. Finally, in 2007 Facebook lifted the ban to allow brands to have dedicated pages, which allowed the Red Dress Boutique to really soar. Social media allowed this company to increase sales from $63K to $7M. Alright, so now I might have sold you on the idea that social media can really help your business market its products. Then why don’t all businesses have as much success on social media as The Red Dress Boutique? It might be easy to sit down at your computer and make a page on Facebook for your company, but that doesn’t necessarily mean you will get a large amount of followers. Herein lies another lesson, it really is all about knowing your customer. Who is your target audience and how are you going to get them to like your page and become a customer of your brand? Harbour really got to know her clientele. Instead of shooting her clothing on models in front of a white background, she put stylish outfits together and got college students to be her models. She personally photographed them in different environments, allowing the buyer to see where they might wear this outfit and really allowing them to become more engaged. Harbour took this personal attention even further. She launched a program where she can analyze buying habits of her customers and alter her inventory in minutes, instead of the traditional model of buying months in advance. The Red Dress Boutique is now making about $1M per month and it all originated from social media. Engaging your clients and demonstrating good customer service is what building a brand is all about. If the customer likes a photo you post on Facebook, it is immediate marketing for your brand, now you are a part of their network of friends. In a matter of minutes you could have millions of followers and all from that one like. While social media sites may continue to adapt and change, the concept itself is not going to fade. 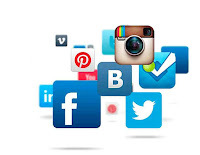 If you are thinking you need some help with social media and don’t have the capability to manage it in-house, reach out to Source One to help you find a partner with the ability to make your company as successful as The Red Dress Boutique. We can provide a high level perspective down to the day-to-day granular level, assisting your marketing department by conducting agency evaluations/audits, increasing spend visibility, unbundling tactical services, and evaluating pricing and services within the marketplace. We will ensure that your company gains the right level of value in terms of quality and cost.